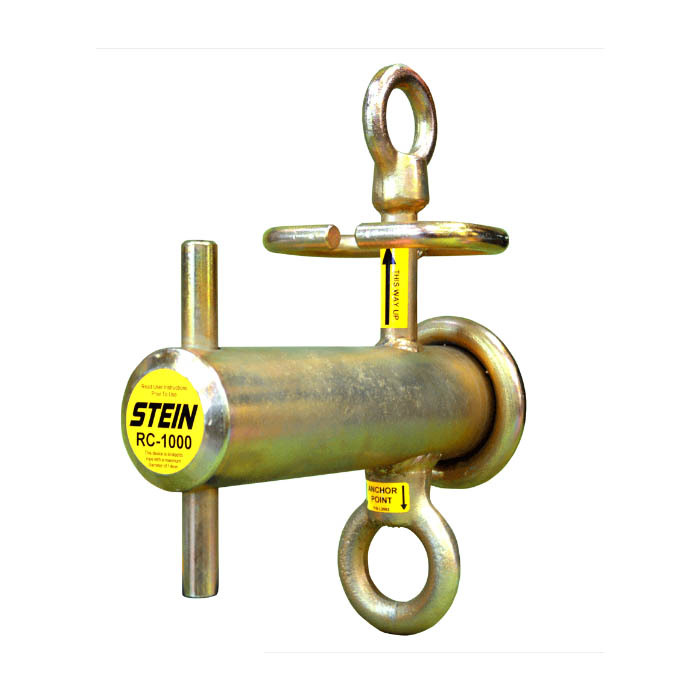 Working ropes can easily be wrapped and unwrapped without removing the RC-1000 or RC-2000 from either its main anchor point or the top attachment point. The bottom anchor point has a large eye to accommodate a choked sling. The top attachment point makes for more convenient routing of the working rope as well as tensioning the rope, this also allows for Rapid-Slack-Removal in ropes whilst blocking down logs - a first in floating/hanging devices. The top attachment point is also designed for retaining the device in place whilst fixing the base anchor point securely and for attaching a tensioning or lifting system.